KFA Annual Public Lecture 2018/19 – Bert Roberts, Uni Club UWA Perth. The Kimberley occupies a unique geographical position in Australia, lying at the interface between Sahul—the combined landmass of Australia and New Guinea, which were joined by a land bridge for most of the last 120,000 years, when sea levels were lower than at present—and the islands of eastern Indonesia, which have remained separated from Sahul and the Asian mainland. Genomic studies suggest that Aboriginal Australians are the descendants of people that left Africa more than 60,000 years ago, with archaeological evidence of occupation of the Kimberley extending back more than 50 millennia. The region also boasts some of world’s oldest-surviving rock art and Aboriginal languages with a time-depth matched only by those in Arnhem Land. But many fundamental questions remain, such as when, how rapidly and by which routes these pioneers spread through Indonesia and arrived in the Kimberley, and how they responded to the challenges and opportunities of the new environments encountered on their journey. 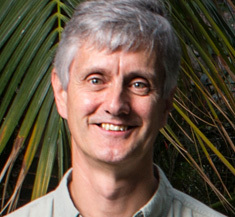 In this lecture, Prof Roberts will explore what we know about these Kimberley trailblazers and their contemporaries to the north (Indonesia) and east (Arnhem Land), and how the Australian Research Council Centre of Excellence for Australian Biodiversity and Heritage (CABAH), with which the KFA has close links, aims to answer these questions and transform our understanding of the entangled human and environmental history of these three regions. Cost: Admission $10. Students are Free.